If you own a business, it’s in your best interest to make it easy for customers to get in touch with you. There are several different ways to go about doing that. Including the street address and website URL of your business on your marketing materials is one excellent strategy; putting your telephone number on as many different things as possible is another. What happens, though, if a customer doesn’t have your business web address or phone number right in front of him? With any luck, he’ll have your business number memorized – and that’s a lot more likely when you have an easy-to-remember number. Businesses that have easy-to-remember phone numbers tend to have higher customer retention rates. When in a pinch, a customer is a lot more likely to turn to a company that he already knows – and that he can get in touch with easily. If a customer has to scramble around in search of a telephone number, he’s less likely to become a repeat customer. If your business number is a random jumble of unrelated numbers, you’re probably missing out on a lot of potentially lucrative repeat business. By switching to an easy-to-remember number – especially one with a 212 area code – your customers are a lot more likely to call on you in the future. Successful marketing campaigns put many different strategies to use. When a marketing campaign isn’t fresh, it’s not going to be very effective. 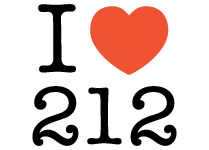 One great way to kick your marketing success up a notch is by investing in an easy-to-remember 212 phone number. Once you have it, you could even create a catchy jingle to go along with it. When customers require your goods or services, they’ll have no problem recalling your business phone number. An easy-to-remember phone number – like one that uses repetition – also looks great on marketing materials. Promote your business in new and exciting ways by investing in an easy-to-recall 212 number today! Standard, Business and Exclusive 212 Numbers: What’s the Difference?